Over the recent weeks, Android devices have had to deal with two major vulnerabilities: Blueborne and KRACK, both of which target wireless services of the phones – Bluetooth and Wi-Fi, respectively. Many companies have been rolling out swift software updates to take care of these issues and despite its reputation, Samsung has been doing a commendable job over the recent past. Quite a good number of Sammy phones have already been updated with fixes for the Blueborne issue, but not all have received fixes for the KRACK vulnerability. Right now, Verizon users of Samsung Galaxy Note 8 can now enjoy using their phones without worries of the KRACK exploit. In addition to fixing this Wi-Fi problem, the update also installs a new security patch for the month of October. Although not the latest, it’s what it brings that really matters. The update carries software version N950USQU2BQJA and it also improves the Live Focus camera feature, where the focus button gets an upbeat background as well as vibrant text for light and distance details. The same KRACK fix is also being rolled out by Verizon to older Samsung flagship phones from 2015 – the Galaxy Note 5 and the entire Galaxy S6 family. Unlike the Galaxy Note 8, these four phones will be updated to the latest November Android security patch, but it shouldn’t be long before the former catches up with the rest. For those using the Galaxy Note 5, watch out for software version N920VVRS3CQK1 and those on the Galaxy S6 family can expect to receive firmware versions G920VVRS4DQK1, G925VVRS4DQK1 and G928VVRS3CQK1 for the S6, S6 Edge and S6 Edge+, respectively. T-Mobile is also rolling out new updates to the Galaxy S6 family alongside the original Samsung Galaxy J7. While the Galaxy S6 and S6 Edge are being bumped to November’s Android security patch, the update doesn’t step up the patch level of the Galaxy J7 2015, rather, it stays at August 2017, even after the new update is installed. As for the S6 Edge+, the update installs October’s Android security patch, which is even more confusing from the Magenta carrier. According to T-Mobile, these new updates bring “various improvements and security updates” to these four phones, all of which had months since they were last updated. Since the phones had not received any updates during this period of Blueborne and KRACK attacks, it’s possible that T-Mobile has included fixes to these issues in the updates. 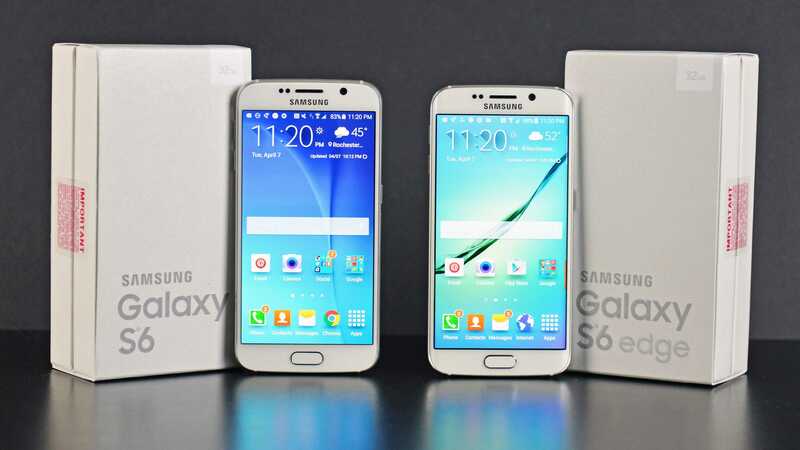 Samsung Galaxy S6 users are getting an update with firmware version G920TUVU5FQK1, S6 Edge are getting version G925TUVU5FQK1, S6 Edge+ are receiving version G928TUVU4EQJ3 while those on the Galaxy J7 2015 can expect firmware version J700TUVU3BQK3. Verizon is also rolling out new updates to the LG G6 and Moto Z family. Where the former gets software version VS98813A that installs October’s security patch, the latter, which has the Moto Z Droid and Moto Z Force Droid, is receiving November’s security patch carrying software version NCLS26.118-23-13-3. Moto Z handsets will also receive a new AppFlash app that lets them try out apps before installing them on their phones. If you own an unlocked Samsung Galaxy Note 8, there is also something for you. The Korean tech giant has started rolling out November’s security patch to the handset, which brings software version N950U1UEU2BQK1 and weighs about 340MB. Keep in mind that all of these software updates are rolling out over the air. This means that it’ll take time before everyone gets them, but if you can’t wait, now is the time to head over to the Settings and try out a manual update. While doing so, make sure you have a stable Wi-Fi connection and enough battery juice, at least 50%.